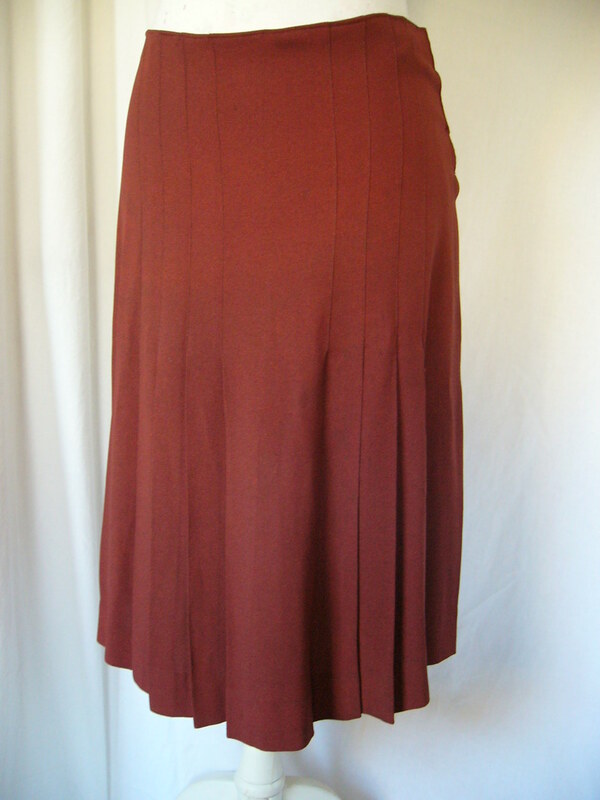 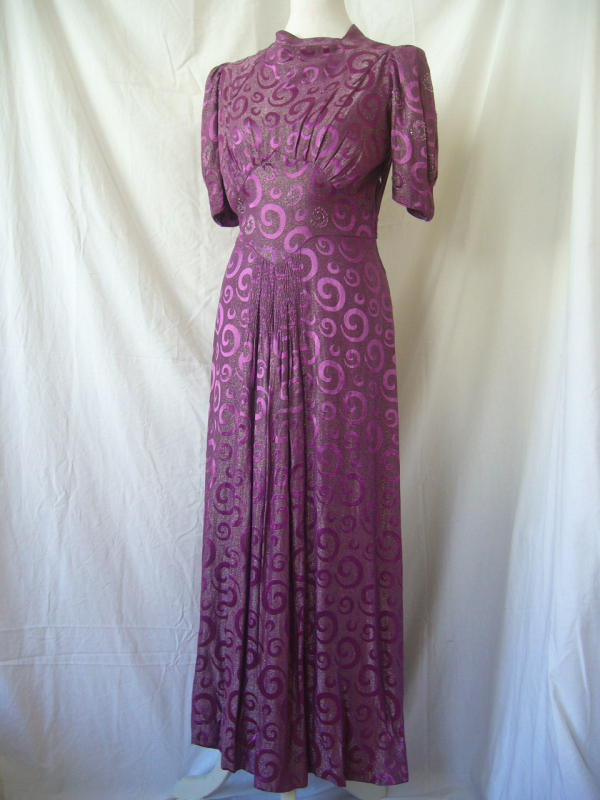 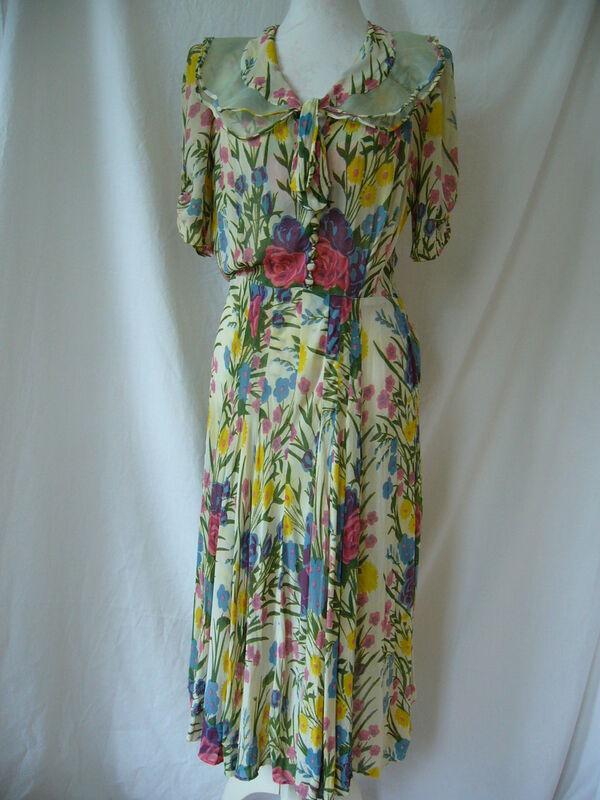 This stunning dress was a mail-order repair where we were sent the dress and did all correspondence over email and phone. 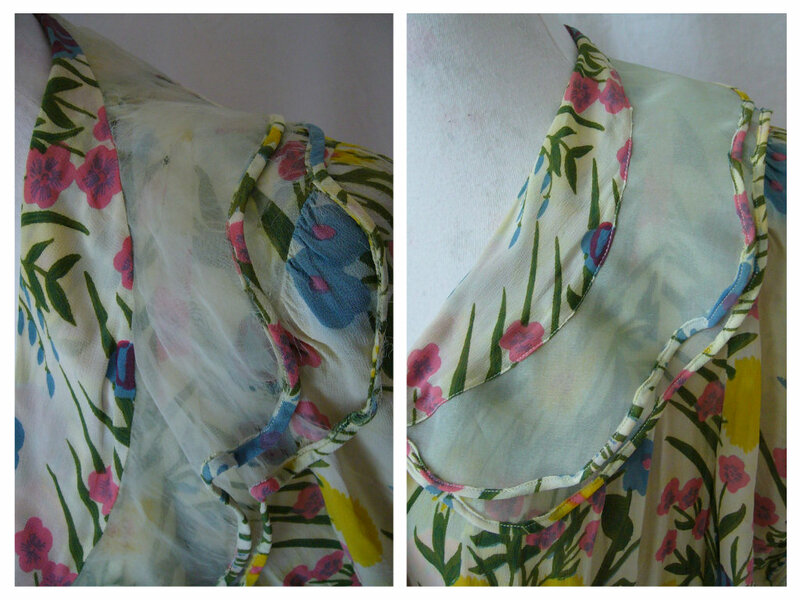 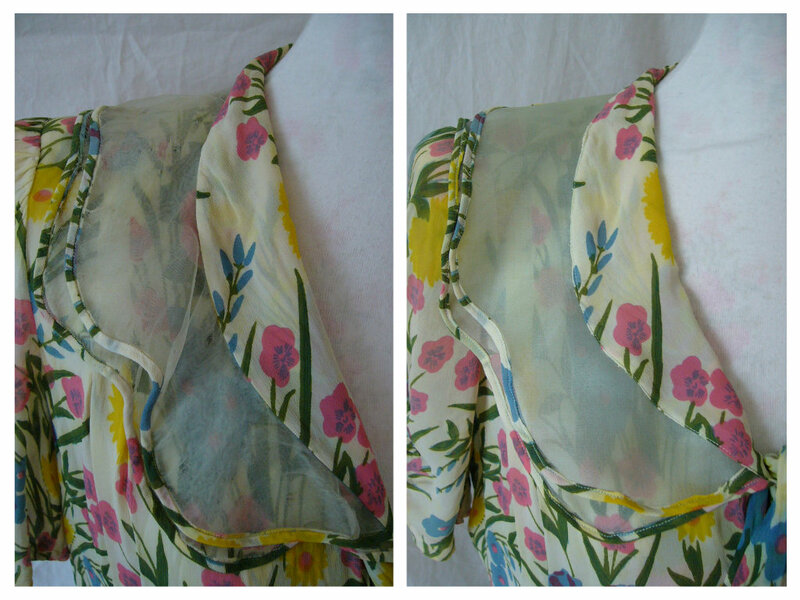 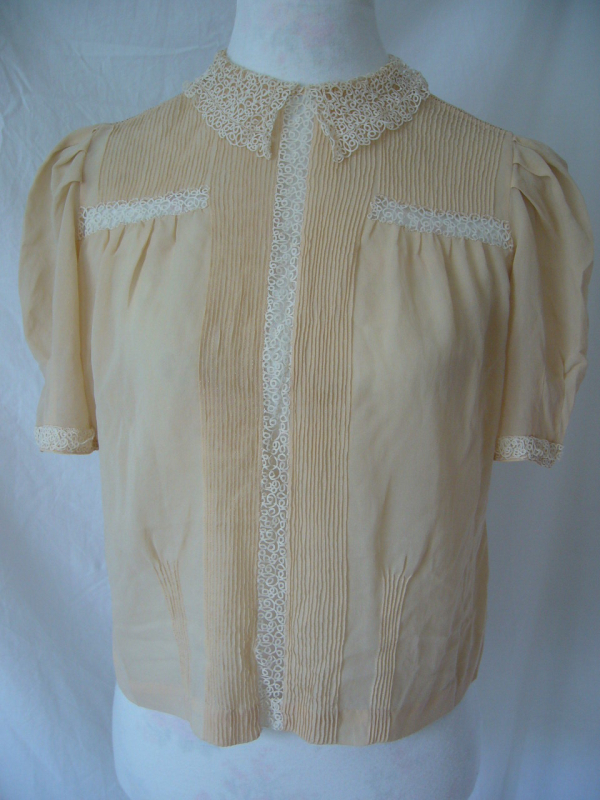 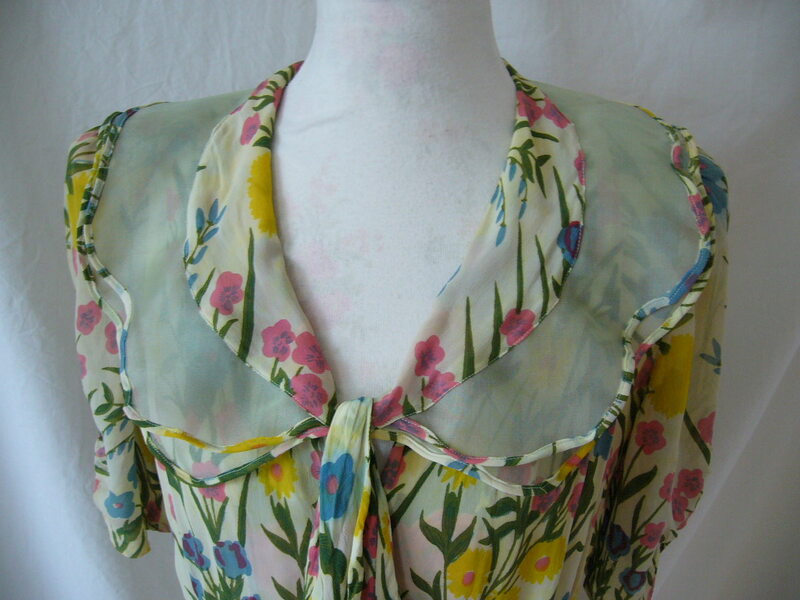 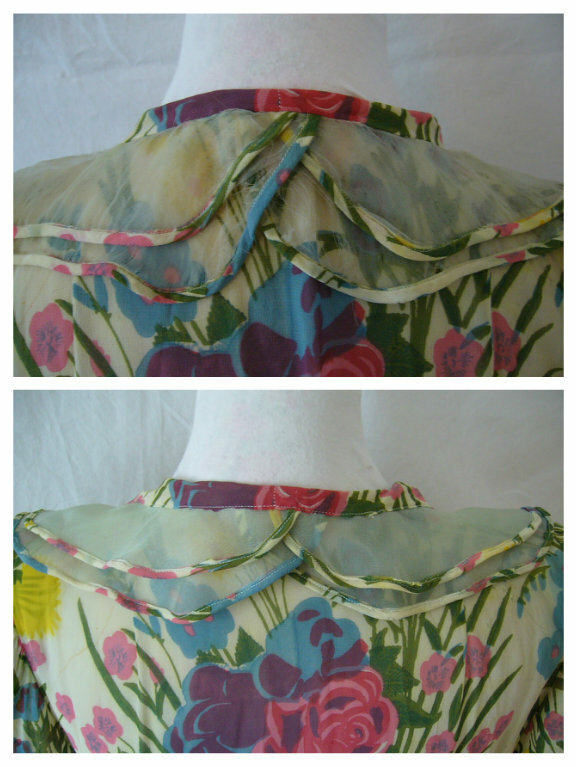 The chiffon collar was in a sorry state and needed replacing. 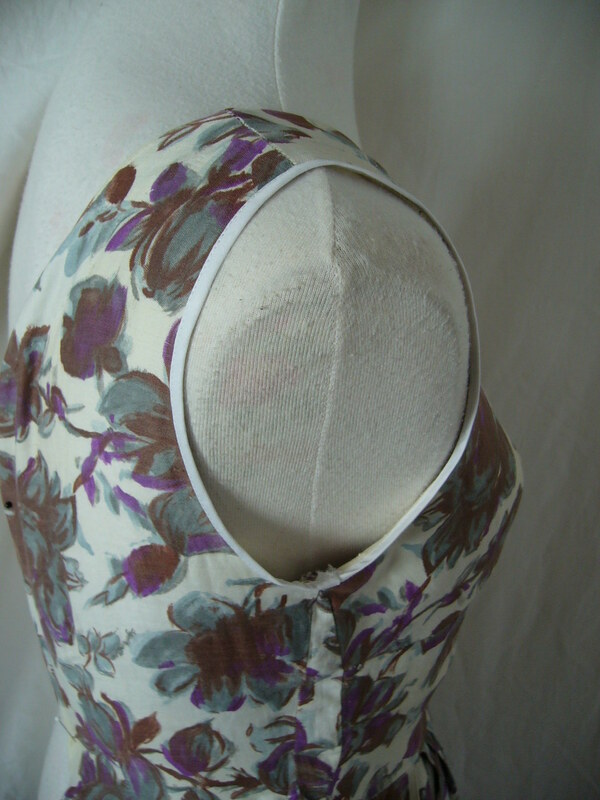 Unpicking the existing bias, we matched up the original pattern of the collar which the bias edging was reattached to and then added back onto the dress.